It has been a huge success for security software vendors who are consistently providing all-in-one protection tools i.e. total security which includes more than just antivirus protection layer for your computer. BitDefender Total Security 2013 is one of these kinds where you can sense the complete defense mechanism against all types of PC and internet related threats. The latest version is now compatible with Windows 8 and some new features are added like USB Immunizer, Device Anti-Theft and BitDefender SafePay. BitDefender Total Security 2013 has been awarded the best security software in 2012 by AV-Test, for its overall score in protection and usability. 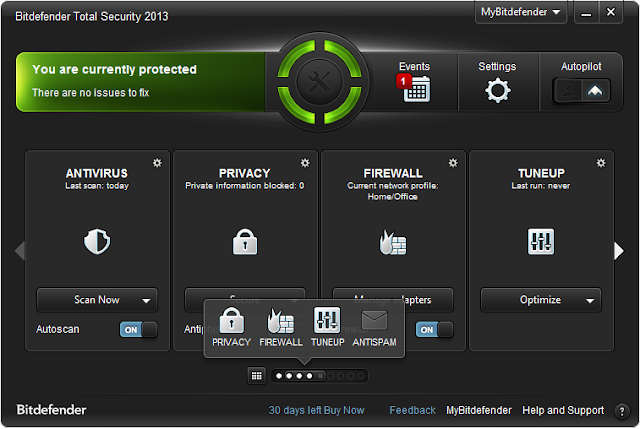 BitDefender Total Security 2013 comes with 30-day trial but it offers 3 months free subscription as a part of promotion and it could be very useful for those users who cannot afford to buy the software. You can click the download button below and follow the rest. In BitDefender’s earlier versions, the setup process is fully customizable but 2013 is different. You need to register and then only you can continue the remaining process. It takes almost two minutes to complete in spite of the small registration. At the end the program scans for any infected viruses to ensure a proper setup. The installation doesn’t discontinue if other security programs are detected on your system. The changes to the latest interface are very little and it is more like the 2012’s suite design. 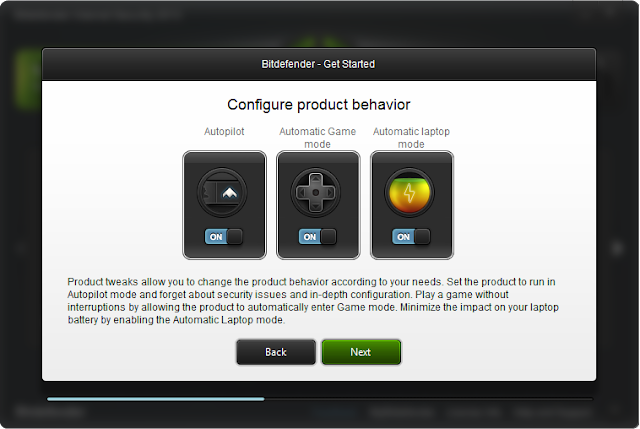 The “AutoPilot” feature is eye-catchy and you could access the remaining options with ease. SafePay – This new feature opens up all the online banking and shopping websites in an isolated iron-clad secure browser where you can securely surf without worrying about hackers. USB Immunizer – Controls all USB and removable devices connected to your PC and protects against online threats. Device Anti-Theft – You can locate your laptop from any internet-connected device and lock it. You can also wipe out complete data on Laptop with this feature. Enhanced Parental Control – Restrict inappropriate online content which are not suitable for children and even remotely monitor their social networking activities. Security Widget – Keeps track of all your important tasks which are highly sensitive. 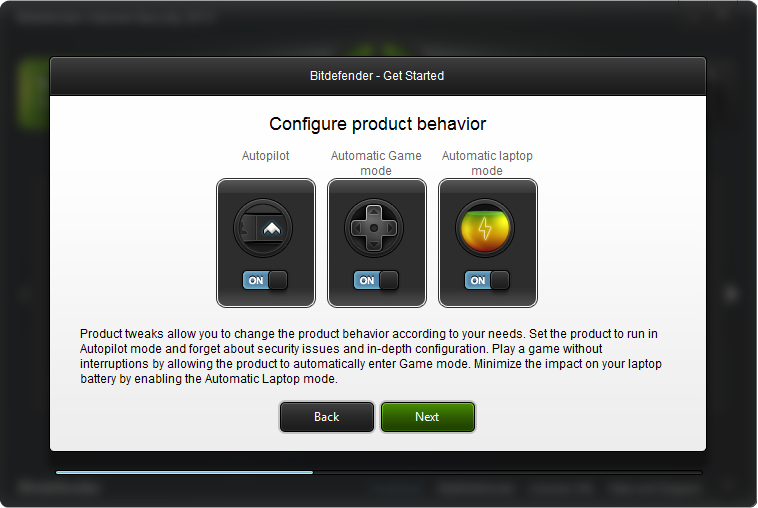 Improved MyBitDefender Dashboard – The new dashboard presents you with all information regarding license, status, and services of your software. 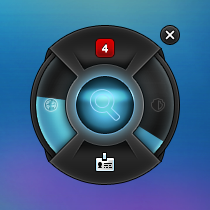 Improved BitDefender Safebox – A perfect feature to store and share your important files online, so you can manage them securely from any internet-connected device like mobiles, Tablets, Laptops, etc.